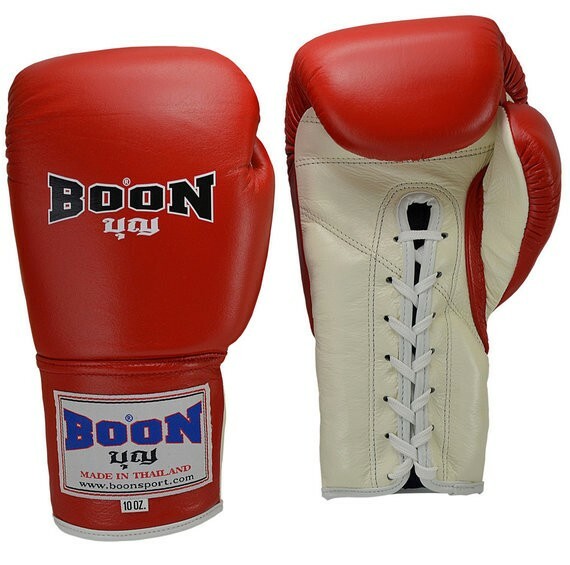 These Boon gloves have a lace up enclosure system which allows for a contoured fit, but requires the assistance from a trainer or training partner to tie up. 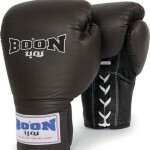 Hand made using genuine cow skin leather. 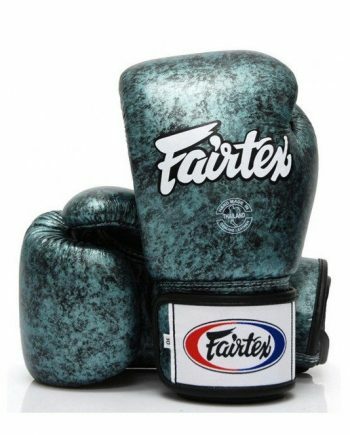 Longer cuff than Fairtex and Twins Special gloves. 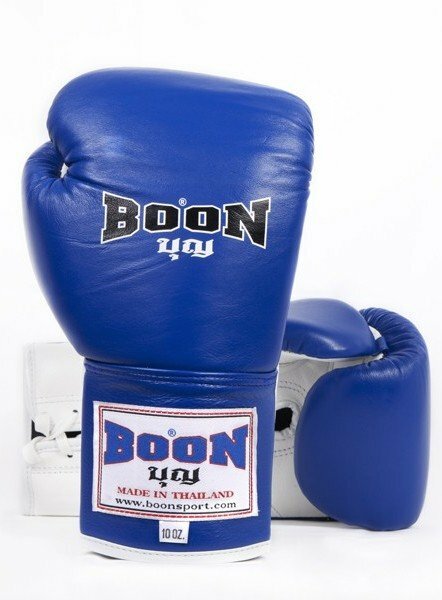 Select your preferred size and color from the drop down menu below.. 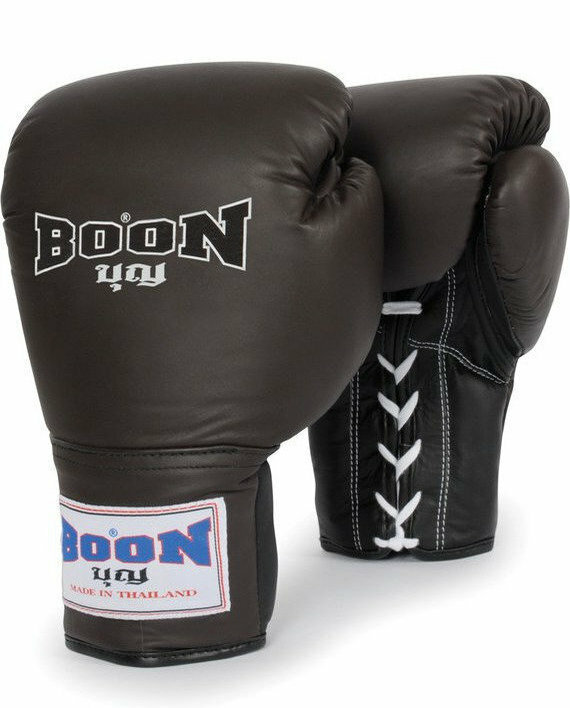 These gloves are styled similarly to the Boon BGV version, but these ones are lace ups as opposed to having a Velcro enclosure. 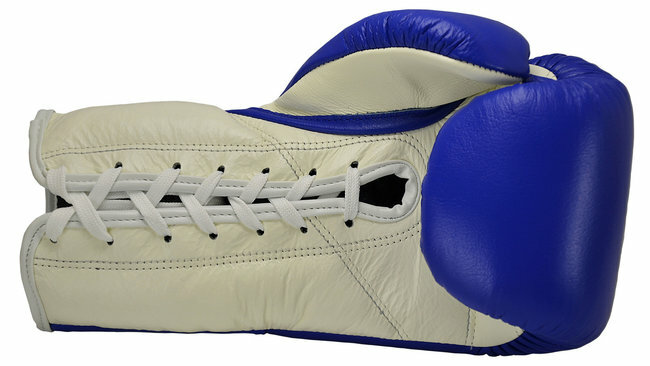 Lace up gloves have their pros and cons. 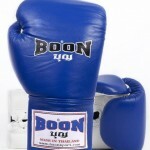 The main benefit is that they allow for a more contoured fit, and typically, lace up gloves are used in competition. 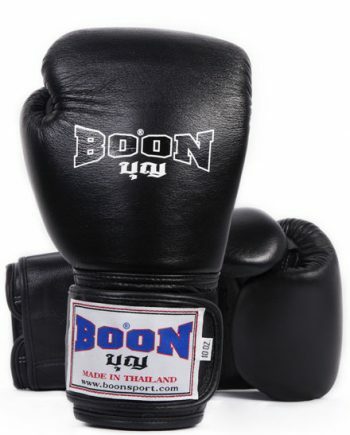 The downside to lace up gloves vs Velcro, for training purposes, is the fact that you will need one of your training partners to tie them up for you. 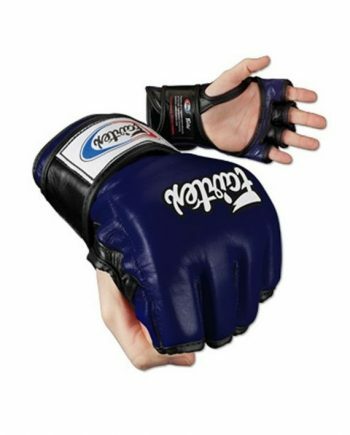 If you’re trying solo in your basement for example, this will likely be an issue and if that’s the case, you’re better off getting gloves with a Velcro based enclosure system. 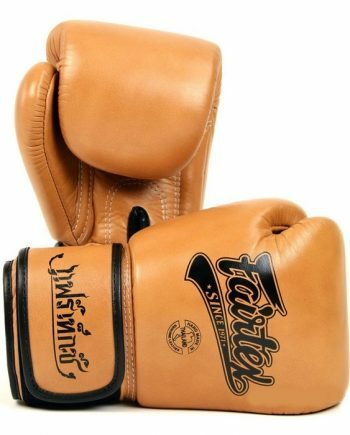 This particular gloves are hand made using high quality cow skin leather, and they have a longer cuff than Fairtex and Twins Special model gloves. Select your ideal size and color scheme from the drop down menu above.